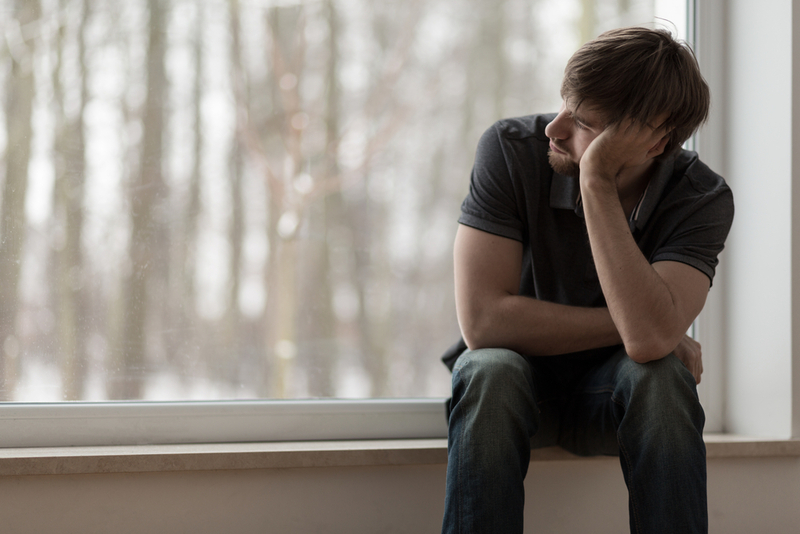 What Can I Do To Help When My Cancer Guy Is Depressed Or Sad? Are you involved with a Cancer guy who has mood swings you don’t yet understand? Perhaps he has bouts of depression or feeling melancholy. If you aren’t sure what you can do to help pick him up; please keep reading for some interesting information that may assist you. Sometimes Cancer men aren’t good at opening up but if or when he finally does; you’ll need to listen. Don’t try to talk, suggest, or give advice. Just be a sounding board that he can let all his emotions loose. When he vents; it helps him process his feelings better and he’ll function far better than when he holds it in. Again; he may not open up at first so it could take time to get him to understand you’re a great listener. By telling him that you are; you better be! Sit there and just let him tell you everything that is bothering him and everything he wishes didn’t happen or wants to happen, etc. Only offer up advice or words of wisdom if he asks you to. Otherwise just keep quiet unless asked a question. You can say “I’m sorry you’re feeling this way” or “ I understand” but try not to offer up your opinion. The last thing a Cancer man will want is your opinion on how he feels or what he’s going through. He just wants an empathetic ear that will allow him to get his feelings out. Purging is healthy and will help him to be a happier person. This also gives you great insight as to who he is, how he thinks, how he feels, and how he deals with things that happen in his life. It’s amazing to know who he truly is at the core and this is the main way of finding out. Just like a big kid, a Cancer man will appreciate a home cooked meal, baked goods, or dessert. If you make it for him at home; he’ll really dig it and will make him feel somewhat better if only for the present time. This will work well if he doesn’t want to open up but you can tell he’s upset. Perhaps after he’s gotten his fill of delicious treats; he’ll want to talk to you. If not; he may feel uplifted and just go on about his day. Either way; the man cannot resist homemade food of any kind. He’s a sucker for a woman in the kitchen making anything for him. The sight of you will make him feel home and feel loved. If you do not live together then you can make it and take it over to him. Going out of your way like this will show him how much you care and how present you are for him when he needs you. Back in the old days you could make a mixed tape of some really uplifting music and take it to him. Nowadays though; it’s more of an MP3 playlist. Whatever you can do to make a collage of music he’ll enjoy; will surely make him feel cared for. It’s like sending a card only giving him several options to choose from. You can pick songs that remind you of him or you can pick songs that you know he really likes. He’ll love the effort you put into it. Load it up on an MP3 player or even on a USB drive. He’ll be over the moon with the time and love you put into making something for him. It’s incredibly romantic and will make his heart feel warmer. There is no doubt this will cheer him up if he’s feeling blue. If you live together, you could just make a playlist on whatever music source you use so that you can play it for him when he gets home from work. Of course playing the music and serving him some tasty treats together will be a HUGE hit with the Cancer man. It will soothe him and make him feel he’s at last; at home with loving care. Remember that Cancer man is very emotionally driven. He’s sensitive and as such; will appreciate feel good movies. If you have any idea what type he gets into; you can have it cued up and ready to go with pizza and wine when he gets home. If you do not live with him; you can invite him over to your place. In the event that he’s too down to want to come over; you can put together a care package for him that includes a positive type of movie he can watch. Try to get him to let you watch it with him. However; if he wants to be alone then just leave it by his door, text him and let him know you left him a care package at his door. He’ll find it terribly sweet of you. He will understand he can rely on you to pick him up when he’s not feeling like himself. Treats, cards, gifts, movies, music, or just some other type of sweet sentiment will make his heart happy. Cancer man will very much love that his partner cares for him enough to go out of her way to make him smile and feel good about things again. This is a VERY good practice to take on if you are getting deep with your Cancer guy. 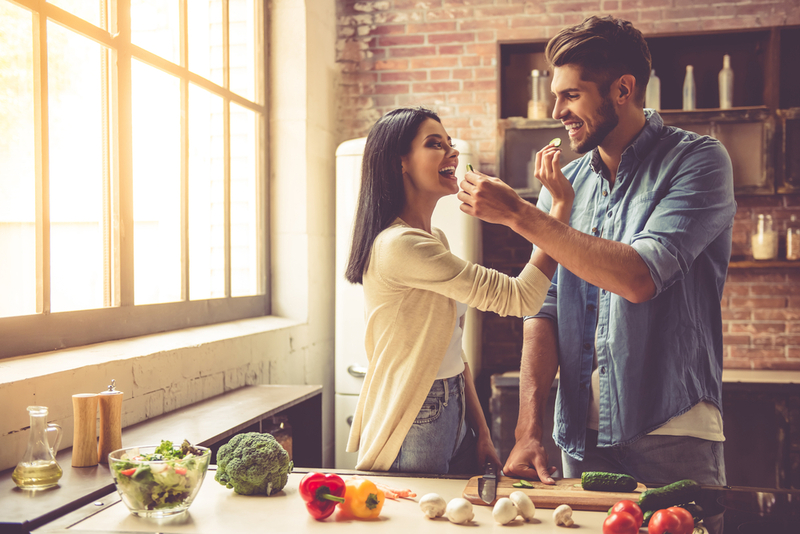 If you’re just dating one and you’re not yet serious; you can still work toward using these types of methods as it will help you secure a much deeper bond with him. He’ll know you’re secure and warm for him to open up to. 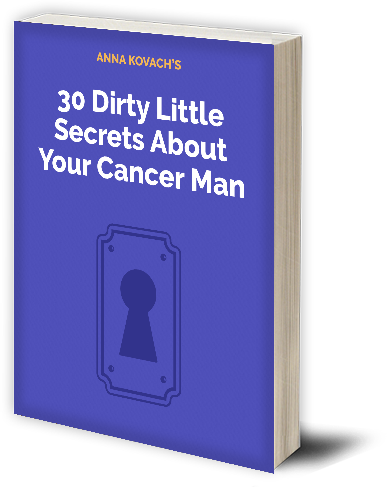 Naturally there are other things you need to know about Cancer man so that you’re well equipped to handle a romantic relationship with him. Click here to get the information that may help you wrap your heart and mind around this tasty guy. PreviousPrevious post:4 Easy Ways on How to Please a Cancer Man – What Does He Want?